For the first time in his life, chinese artist Ai Weiwei shows a solo exhibition in his home country, following the development of the project from conception to realization on site. 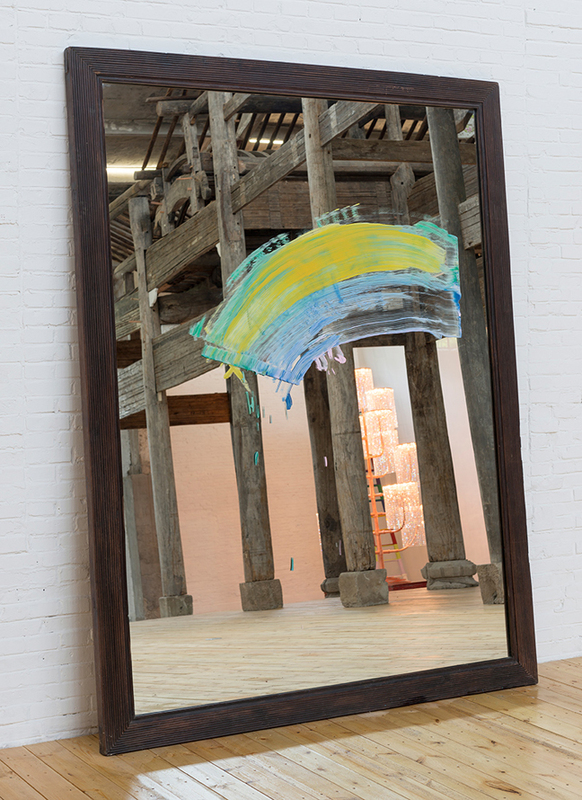 Curated by Cui Cancan and presented by Galleria Continua, the exhibit is spread across the gallery’s beijing space and the adjacent tang contemporary art center, crossing the wall that divides the two rooms. 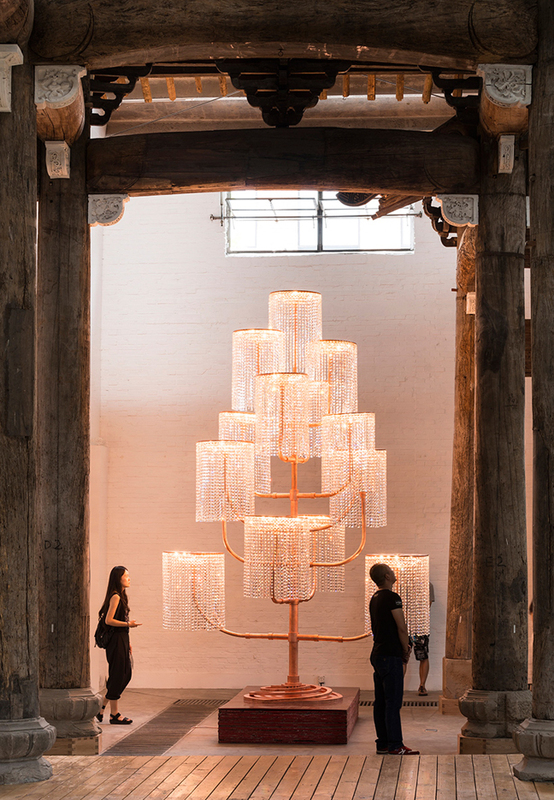 The body of work conceived for the two spaces represents an ambitious process that is emblematic of Ai Weiwei’s complex nature and personal history, as well as the key points around which his art revolves. 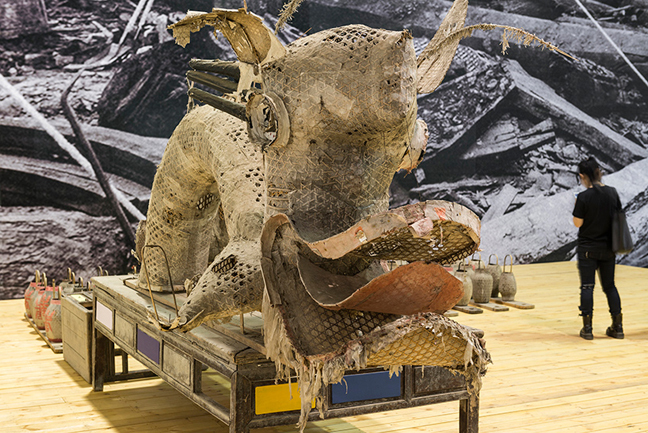 In addition to an overarching social and political awareness, the work embodies a respect for the chinese tradition combined with the reinterpretation of ancient themes in a contemporary context. Inside two exhibitive areas, Ai Weiwei has meticulously re-built the historic ‘wang jiaci’ wang family ancestral hall, an ancestral temple of ming age, dedicated to the cult of prince wang hua who reigned during the 6th century A.D. for hundreds of years, the place of worship was considered a sacred place, hosting offerings and cult ceremonies for ancestors, social activities and meetings between the wang family. 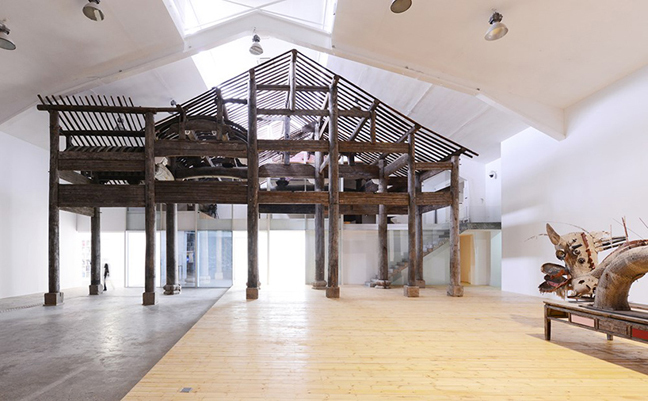 The structure’s particular build, with a framework consisting of columns and wooden beams that are completely independent and detachable from the walls, was used in China over one thousand years ago and is directly related to chinese philosophy and thought. 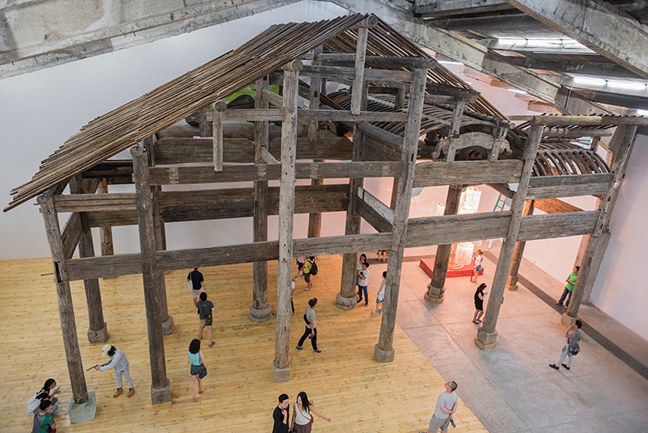 Today, wang jiaci is at the core of Ai Weiwei’s monumental project, since reconstructing it from more than 1500 disassembled pieces within the neighboring gallery spaces. Visitors are forced to see the work only partially without ever being able to experience the entire architectural structure from a single vantage point. Deprived of its original use, the temple naturally acquires a new shape and meaning. Ai Weiwei focuses, once again, on the importance of human actions within a particular space, not only of artistic, but also of social and public character.